Jim here. 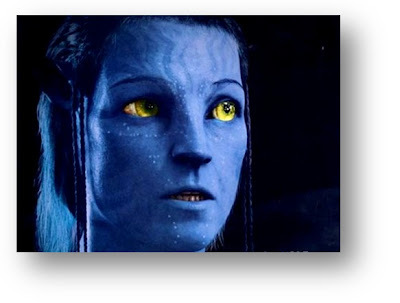 Another morsel of information has been added to the mix for AVATAR 2: Signourney Weaver is seriously hinting that she will be in the sequel to AVATAR - even though she supposedly died in the original! The story comes from AICN where a reader sent in a link to a French video where Weaver discloses the info. Weaver can speak French too. The interesting part is after the 3:30m mark and you can hear her in English. Anyone who has watched the movie knows that she didn't seem to die, but rather "she is with Eywa". Her consciousness or "soul" has transferred to the tree of souls. This opens up many, MANY scenarios now that we know that there is a real chance she is returning. Will she be teamed up with Eywa somehow? Very interesting! She does back track a bit though by saying she can't promise anything, but the info is a bombshell of sorts. Here is the clip! Thanks to Shawn for the headsup :-) Working on some more AVATAR 2 news shortly!